Presented by New Rave Productions, The 26th annual Wellness Show is coming back to Vancouver with the latest wellness trends in a diverse range of categories including beauty, green living, nutrition, exercise, healthy kids, alternative and holistic therapies, mental well-being, and more. For more than two decades, The Wellness Show is West Coast’s largest lifestyles event showcasing mutli-level well-being living discoveries presented by credited exhibitors, speakers, seminars and demonstrations. Featuring “The Green Mama” talking about healthy pregnancies, as well as workshops on bolstering your family’s immunity, and recipes for a vegan diet. The very popular stage featuring Chef Phil Scarfone of Nightingale, Robert Clarke of The Arbor, Shelome Bouvette of Chicha, and everyone’s favourite; Tojo. Table Tennis is an Olympic sport, and the second most popular racquet sport in the world. Experience the physical and mental benefits of Table Tennis and try it out for yourself at The Wellness Show as professional players and coaches will be on site to teach you more about the sport! 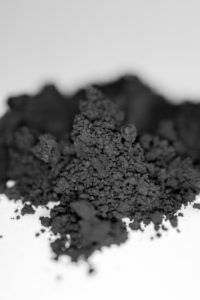 Food-grade activated charcoal powder made from burnt coconut started popping up everywhere over the last few months. Charcoal is detoxifying. It is used in water filters to remove toxins and purify it. It can have a similar effect on the body, if taken in the right small doses. Learn from the experts the secrets of activated charcoal and how to use it correctly. Rich in Vitamins A, C, B, D, and E and minerals such as manganese, iron, calcium, zinc, and selenium, medicinal mushrooms like Lion’s Mane and Chaga contain potent anti-bacterial, anti-viral, anti-inflammatory, anti-microbial, anti-fungal, anti-candida, and anti-parasitic properties. It’s been known to boost brain function, and has been used to help Cancer patients. Discover how to make mushroom latte and benefit from all the safe goodness this magic plant has to offer. While many cultures integrate fasting into their routine as part of their religion, we all know that using fasting as a weight-loss technique is rarely successful in the long term. Intermittent Fasting, on the contrary, has gain popularity in the wellness circles in recent years. Intermittent fasting is thought to promote stronger insulin sensitivity and increased growth hormone secretion, two keys for weight loss and muscle gain. Learn how the Intermittent Fasting approach works to stimulate a healthier body well-being. Seaweed has both anti-aging and anti-inflammatory benefits. Besides having high iron content and a favorite delicacy for consumption, its hydrating qualities are also great to apply topically to the skin. 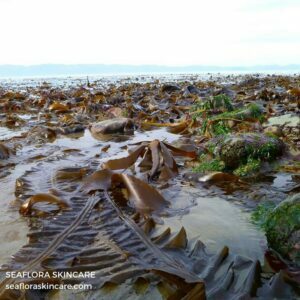 Local entrepreneur Diane Bernard has been hand-harvesting seaweed from BC’s coast and has turned it into an organic skincare line called Seaflora. Nigella Sativa or Black Seed Oil. This ancient seed is a relative of the cumin or coriander plant. The black seeds are pressed and the oil is used to treat almost everything from allergies, eczema, digestive problems, and more. Just take a teaspoon or two each day to benefit from its phytochemicals. Eating well is a personal journey. More people than ever, for example, are going vegan. The number of vegans has risen by 360% over the past decade and is expected to continue to soar in 2018. On the other side of the spectrum, Ketogenic diets that emphasize protein and fat (you can still be vegetarian and even vegan on a Keto diet) are also growing in popularity. 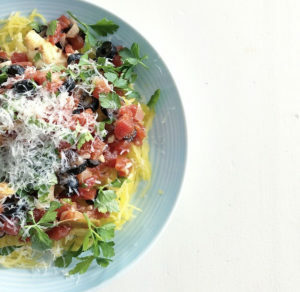 These diets are low-carb, low-sugar, and focus on satiety. 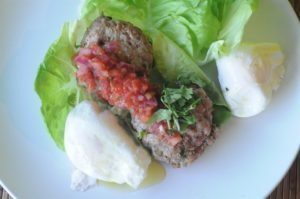 Many people report better weight loss, more muscle gain and better energy on these types of keto diets. 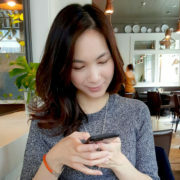 And because figuring out the right carb/protein/fat ratio can be tricky, many people are subscribing to personalized meal delivery services like Eat Your Cake (vegan, vegetarian and Keto) and meal prep delivery services like Fresh Prep, who deliver everything you need to create a healthy meal in under 30 minutes. For more information please visit The Wellness Show. Vancouver Convention Centre East (Old Convention Centre), 999 Canada Place, Vancouver BC.